An emergency warning and intercommunication system is required for some Class’s of buildings, in accordance with the Building Code of Australia. They are installed for the purpose of enabling the orderly evacuation of the building. Alert signal. An audible signal, or combination of audible and visible signals to alert occupants. Evacuation signal. An audible signal, or combination of audible and visible signals to Evacuate occupants. 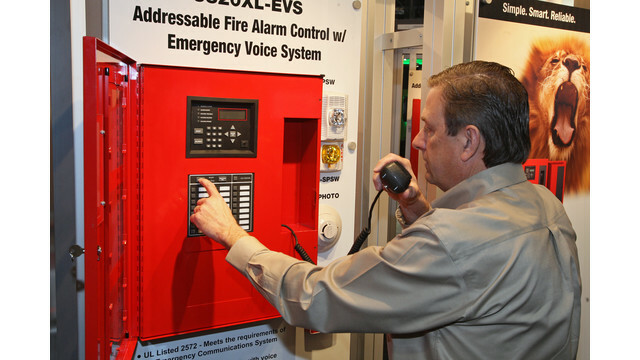 Ability to provide verbal address to one or more areas of the building via a PA.
Ability to communicate to one or more Wardens via the (WIPs – Emergency Red phones) Duration of the Alert Signal The alert signal shall continue on until the Fire Brigade or Fire Warden takes manual control of the system. If not responded to within a prescribed time from initiation the automatic Evacuation sequence shall commence. The prescribed time shall be established to suit the particular building. The majority of EWIS Systems are programmed to roll-over from the Alert to the Evacuation tone within 3 minutes.